I’ve spent a good deal of time in the past six months in New Jersey at my mother’s house. Each time I return, I marvel that eight people: two adults, three boys and three girls, shared this small space. A space that now seems crowded with just my mom and her caretaker living in it. So much of my mother’s house, the house I grew up in, has remained the same. 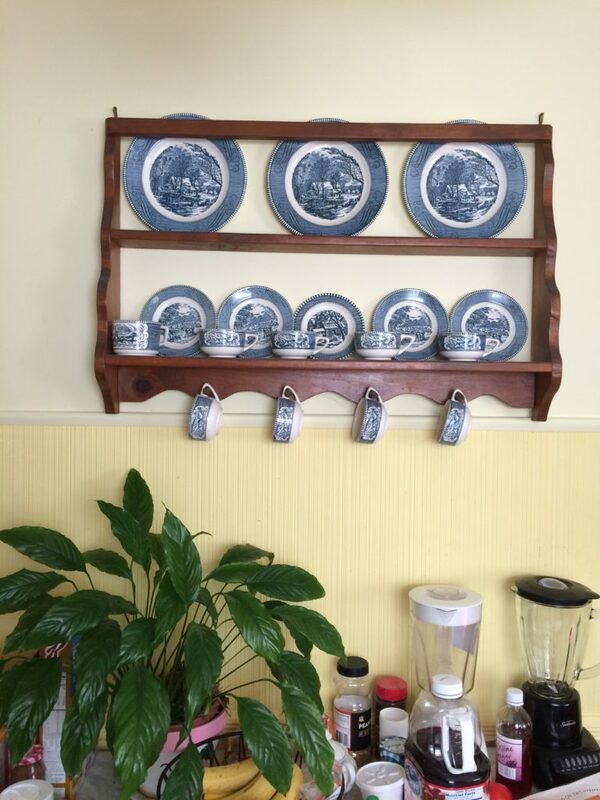 The plate rack that my dad made is still hanging on the kitchen wall. Arranged with dishes that we weren’t allowed to use. The book shelves in the living room once filled with Encyclopedia Britannica now hold volumes of old classics, many, many self-help books. I even found my great uncle’s high school autograph book in a corner of a shelf hidden by a chair. 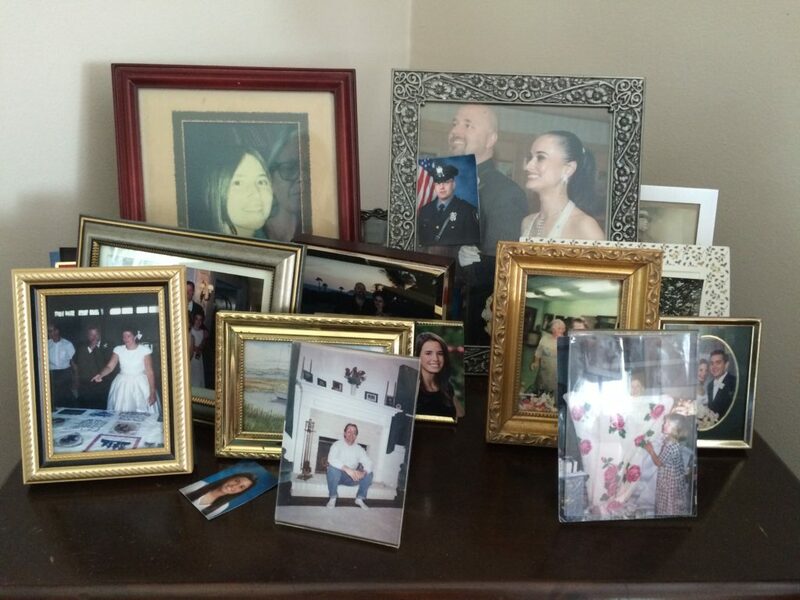 The record cabinet (yes there are still albums in it) holds pictures of her children, grandchildren, nieces and nephews. 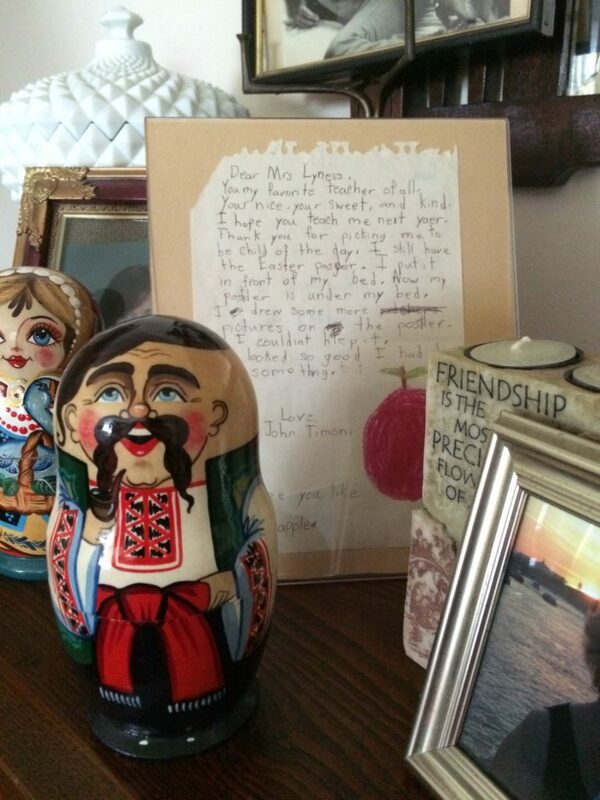 On top of another china cabinet, amongst the stacking dolls and framed photos is a letter written by one of her many students, claiming that Mrs. Lyness is his favorite teacher ever. 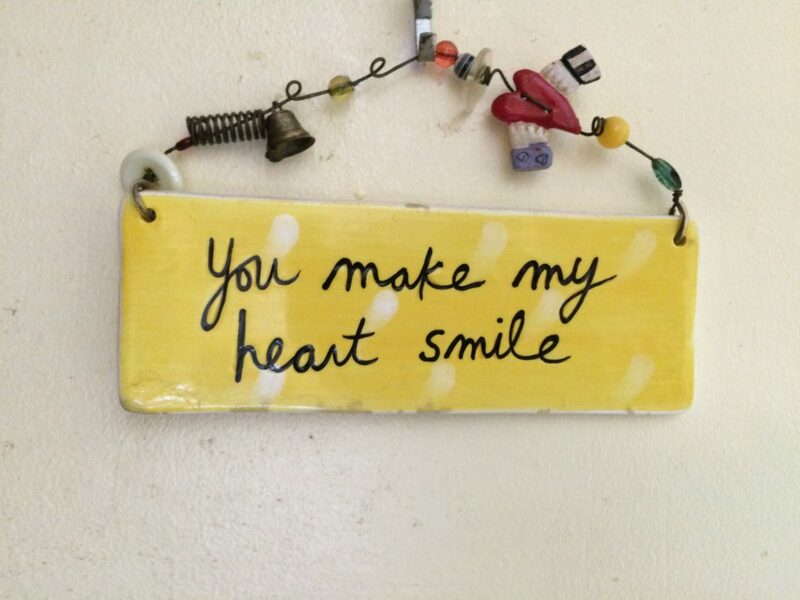 Plaques with mottos ‘Friendship is the most precious flower of all’, ‘You make my heart smile’ are just a few that can be found on the walls. 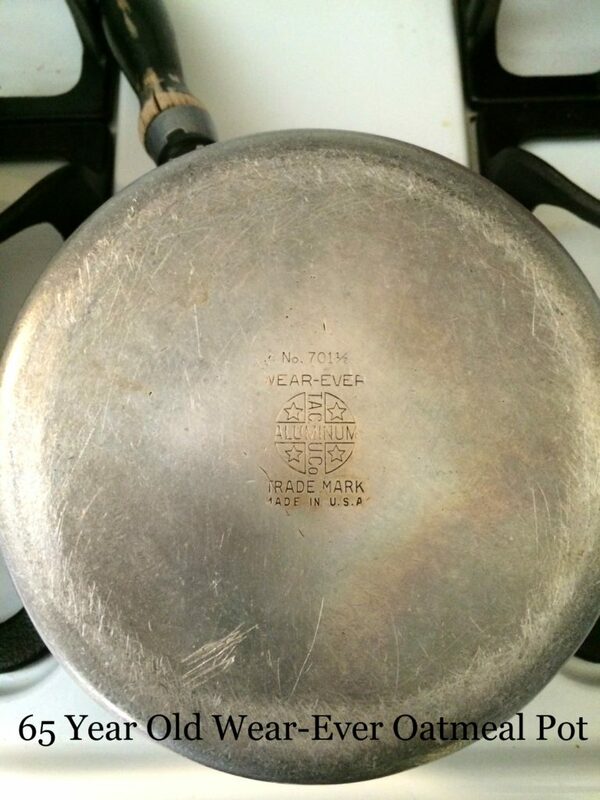 One of the items that has always been in her house are her sauce pans. These Wear-Ever pots must be at least 65 years old. And they look almost brand new! Not a trace of burnt oil can be found on outside of the pans. Sure, there are a few scratches on the bottom but they look great…at 65. I know that she always had us scour them so they’d ‘look brand new’. Sadly, that motto has not been transferred nor applied to my pots and pans. It was in the large Wear-Ever pot that my mother cooked oatmeal for her children. 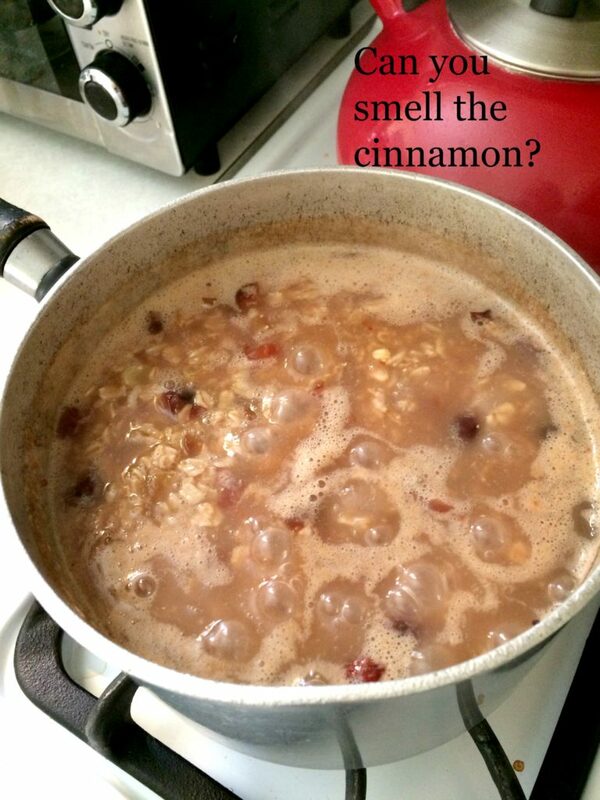 The smell of cinnamon oatmeal filled the house most mornings. When I dug into my warm bowl, I’d find raisins puffed up to perfection among the streams of milk. Every time I dived into a bowl of steaming oatmeal I’d carry its warm embrace to school. When I was there this fall there were packets of microwaveable oatmeal. I made her some, but she never finished them. I asked myself, “What would Doris do?” The answer: make homemade cinnamon, raisin oatmeal of course. So, I did. When I placed a bowl of piping hot oatmeal before her she ate the entire bowl, every morning that I’d place it in front of her. 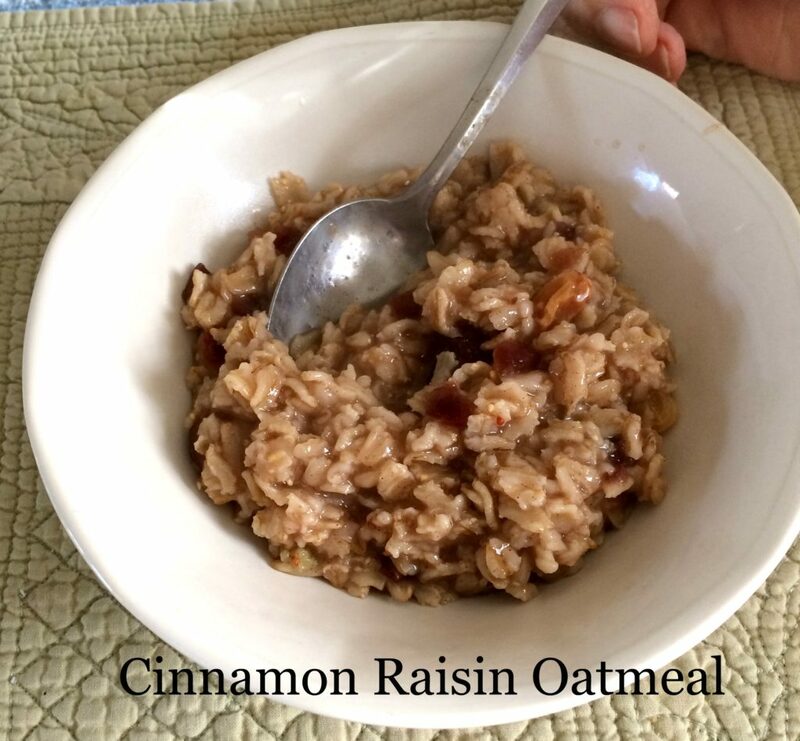 Here is the recipe for Doris Lyness’ cinnamon, raisin oatmeal. We can all use a warm embrace from time to time. In a medium pot bring add water and raisins. Bring to boil. Add oatmeal and cinnamon to boiling water stir. Cook for a minute or two stirring the oats. Another beautiful post! I remember the bookcase having art books on it too. So happy that you are able to spend time in NJ with your mom. So heartwarming. I’m loving your stories and observations. I am really enjoying your sentimental journey!